Instagram doesn’t want to stop its Snap attack. Yesterday, the Facebook helmed social media app launched another Snapchat-clone-feature, geo stickers. They officially released the news about the new feature via a press release on their site. Instagram geo stickers for stories are not available all over the world. For the time being, you can only use it if you are in New York City or Jakarta. With the new update (version 10.11), Instagram brings more than a dozen geo stickers each for Jakarta and New York. The response they get for the feature from these two cities will play a vital role in bringing it to other regions. Instagram launched stickers for stories back in December last year. To apply a geo sticker, you have to take a video or picture and tap on the sticker button. Then, you will see the geo stickers at the top. They have added location-specific stickers too. For example, when you are in a particular city in New York (say Brooklyn), the stickers you see match the place. And, it alters as you move to a different place. Even though the core idea is copied from Snapchat, Instagram enhanced the usage of geo stickers. Unlike on Snapchat, you can use as many stickers as you want. Moreover, it is possible for you to move and resize the stickers as well. Even before the stickers came, users have been able to attach a location to their stories. When one touches the location snippet, they are taken to the map of the spot. Geo stickers work the same way. Tapping on such a sticker brings the viewers to the map of that place so that they can figure out the location and view more photos. Instagram started being a Snapchat copycat since August 2016. It all began with the transient stories option, which then found its way as disappearing status on WhatsApp too. Then the stickers came, and now geo stickers. What does Instagram aim? Obviously, they were afraid of the popularity of Snapchat. As a part of the combat, what they did is copying the competitor itself. The recent statistics proves the company’s move is right. Instagram stories now have more daily users than that of the original version Snapchat introduced. 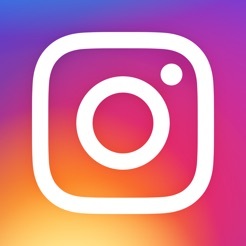 Which Snapchat-like feature does Instagram bring next? Given that Facebook grabbed MSQRD app last year, we expect them to add something similar to augmented reality selfie lenses.